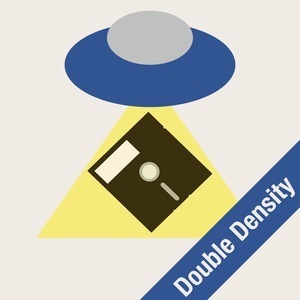 We found 6 episodes of Double Density with the tag “twitter”. Brian and Angelo are joined by special guest, Casey Liss. Brian’s spirit Pokemon and Skinwalker Ranch all in one episode. This week, Brian and Angelo celebrate SPAM’s 40th birthday, look back at 20 years of the iMac, discuss how hard it is to run the @mta Twitter account, and look at what Google has in store for us with Duplex, a more human sounding Google Assistant. Then in the paranormal section, Brian has Angelo react to a conspiracy packed podcast, which leads them to doubling down on Vegas-style odds on the things that happen in Alex Jones' life. This week, the episode gets flipped turned upside-down, as Brian and Angelo start the show with a special look at Area 51. Then they make the unprecedented move of having the tech section in the second half, where they discuss Angelo's new MIDI controller, some Uber follow-up, Apple criticism, phone boredom, and much more. This week, Angelo and Brian continue to discuss podcast editing, have a contentious discussion about the HomePod, look at how mobile devices affect concert goers, and how the exercise habits of the military can be a problem for privacy. The paranormal section delves into employment opportunities on the Area 51 airline, how the world needs more exorcists, and what the human race would do in the face of an alien invasion. This week we talk about holograms, scam calls, Siri’s ongoing harassment of Angelo, Twitter’s lack of new users, and Apple lets some secrets slip. Then we take a trip to Skinwalker Ranch with a brand new segment.